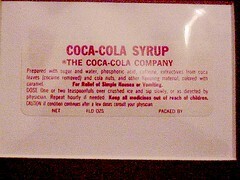 "Early Coca-Cola syrup label listing ingredients. 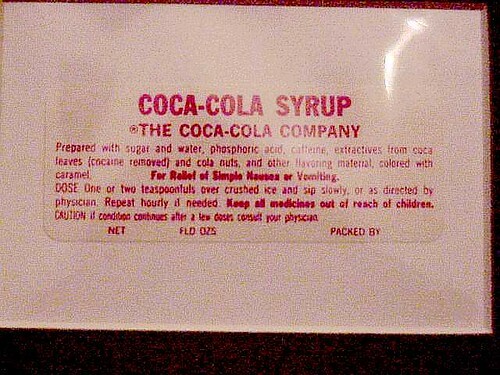 Even after the cocaine was removed from the coca leaves used to make Coca Cola (c. 1906), the product was still sold for its medicinal effects. Today the company generally refuses to comment on the use of coca leaves in their product."